The International break showcased many of the recently revealed new national team jerseys with teams playing in FIFA World Cup qualifying or friendlies in preparation for Euro 2016 this summer. We take a look at some of these new kits in action from across Europe and the Americas. We begin in Europe, as they prepare for EURO 2016 in France this summer. The English rolled out their new set of kits from Nike in friendlies against fellow football heavyweights Germany and the Netherlands. Both new kits are a departure from the traditional looks the Three Lions usually wear but are very vibrant nonetheless. @iamdanielsturridge in action on his first #England appearance since 2014. The host of EURO 2016 unveiled their 2016 home kit on the pitch with a 4-2 win against Russia, the FIFA World Cup 2018 host, on Tuesday. Their stunning away kit was used in their 2-3 win over Netherlands on Friday. Portugal were shocked by Bulgaria in a 0-1 loss at home in their 2016 home jersey. The team, featuring Cristiano Ronaldo, beat Belgium in a exciting game where they wore their shinning away kit. The Dutch wore 14’s over their Nike swooshes in tribute to the legendary Johan Cryuff in their friendly with England Tuesday, while looking sublime in their traditional orange home kit against France last Friday. Over to the thick of World Cup Qualifying action in South America, Argentina continued their push for Russia with a pair of wins over the International break against Chile and Bolivia in their new home jersey. The Albiceleste wore white socks and shorts against Chile, and black against Bolivia. #Eliminatorias ¡Aplaudan, aplaudan, no dejen de aplaudir! El festejo del gol de Messi: de penal, puso el 2-0 de Argentina ante Bolivia. FC Barcelona teammates Neymar and Luis Suarez renewed the latest chapter of the Brazil vs. Uruguay rivalry during the International break, as the match played out to a 2-2 draw. Uruguay was wearing their updated 2016 home jersey by Puma and Brazil had on their 2016 home jersey by Nike. Chile, led by Alexis Sanchez, showed their 2016 home jersey during their painful 1-2 defeat to Argentina in Santiago. The managed to recover against Venezuela to earn a 1-4 victory. Mexico advanced into the next World Cup qualifying stage in CONCACAF as they dispatched Canada in a two-game series of the semifinal round. 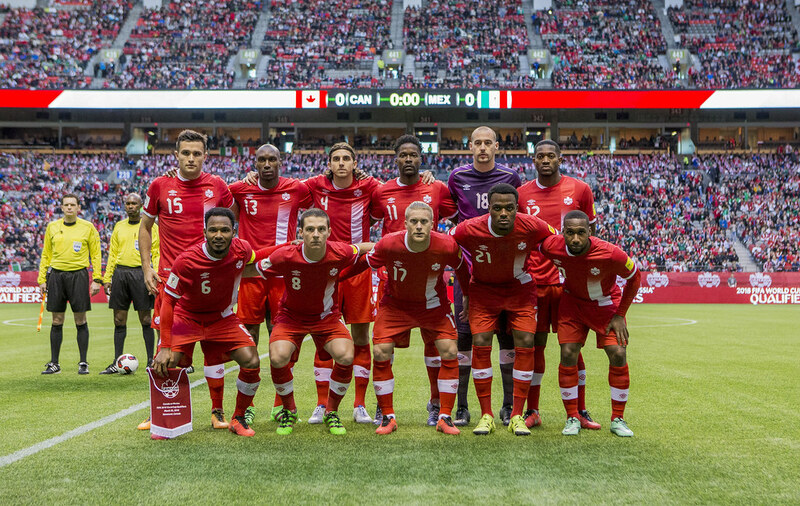 Canada debuted their new home kit in Vancouver first before El Tri showed off their latest home kit back in Mexico. We end our roundup with the United States and their new look on the pitch as they faced Guatemala in their World Cup Qualifier set, as well as the U-23 national team against Colombia in the Olympic qualifier. The youth team was the first to use the new black away kit in their visit to Colombia on Friday, while the USMNT did the same during their shock 2-0 defeat in Guatemala. Dempsey and co. got things settled in Columbus 4-0 debuting their home kit Tuesday, while the U-23 team fell to Colombia in Dallas. Who do you think have the best looking jerseys? Which jerseys are you planning on adding to your collection?